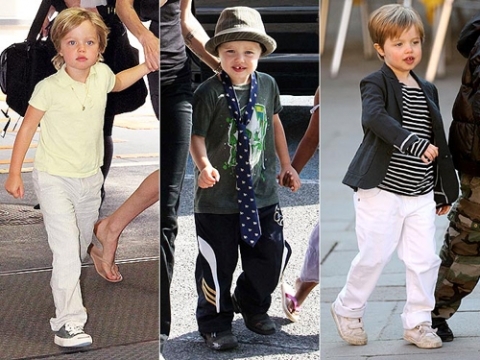 Shiloh Jolie-Pitt is just 4 years old, but she shows no interest in adorable dresses. Instead of that, Shiloh takes up Tomboy as her favorite style. She has her own style choices from fedoras, blazers to ties. Angelina Jolie shared about her daughterâ€™s choice: â€œChildren should be allowed to express themselves in whatever way they wish without anybody judging them because it is an important part of their growthâ€.